UPDATED: Fri., May 19, 2017, 7:51 p.m. Researchers at Washington State University need volunteers for a study to develop a breathalyzer for pot. The breathalyzer would need to accurately detect “acute exposure” to tetrahydrocannabinol, WSU Professor Emeritus Nicholas Lovrich, doctoral candidate Peyton Nosbusch and City Councilor and research assistant Nathan Weller told the Pullman League of Women Voters on Thursday afternoon. As part of the study, volunteers will be asked to answer questions regarding food, drink and other edibles they have recently consumed before being asked to give preliminary blood, breath and oral fluid samples at Pullman Regional Hospital, Lovrich told the League during a Brown Bag meeting at the Community Congregational United Church of Christ. Participants will then be asked to purchase marijuana from a state-licensed retail store and smoke it in a private residence until a personal self-assessed high is reached. They will then return to the hospital by taxi to give additional samples. The marijuana will never come onto the WSU campus, and researchers will not have direct contact with it, said Peyton Nosbusch, a chemistry graduate student and one of the researchers in the study, in an email. As an optional step, participants will also be asked to interact with law enforcement volunteers and allow them to conduct the standard field sobriety test. All volunteers must be Pullman residents and be 21 years of age or older. All identifying information will be kept confidential, wrote Nosbusch. If successful, the study could aid in the development of a field procedure for the detection of the presence of THC, the active ingredient in cannabis, and eventually help prevent vehicle accidents or deaths due to drug-impaired driving. Lovrich discussed a THC detection device with the League back in December 2015 with then-doctoral candidate Jessica Tufariello. He and Herbert H. Hill, a WSU professor and longtime ion researcher, have been researching development of a detector since 2010, Lovrich said. At the time, he said, the number of arrests for driving under the influence of alcohol in Washington had been decreasing steadily, though cases of driving under the influence of illicit drugs had increased. If the breathalyzer – ion mobility spectrometer – used to collect breath samples is proven to be reliable in detecting THC during the experiment, Lovrich said that information could then be passed on either to the company that makes the breathalyzer or to another company to re-engineer the device to become smaller and more durable. Lovrich said WSU would benefit financially by patent rights and associated royalties and use fees. The study is sponsored by the Washington State Department of Social and Health Services and will be conducted in conjunction with the Pullman Police Department. Volunteers will be paid $30 an hour for the first hour and $10 for every additional hour of participation. To date, 29 states and the District of Columbia have passed legislation legalizing for medical marijuana usage. 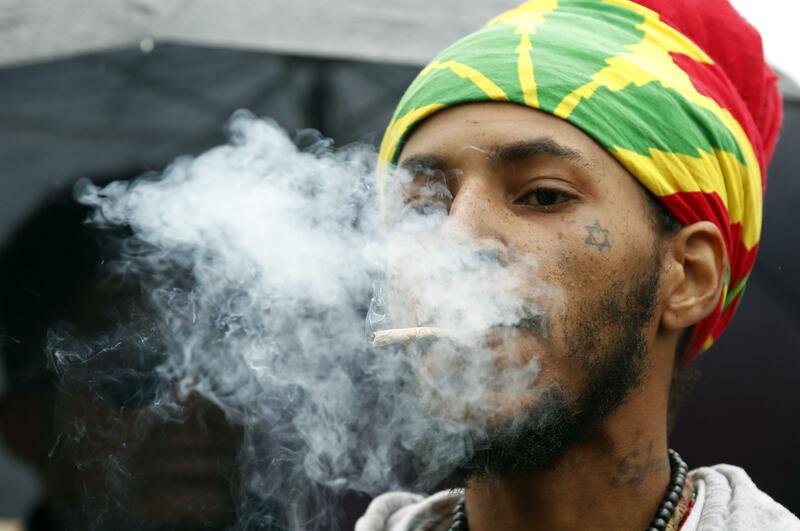 Eight states and the District of Columbia have legalized recreational marijuana. Lovrich acknowledged possible obstacles from the new presidential administration, specifically Attorney General Jeff Sessions, who has talked about cracking down on states that have passed legalizing legislation. “The attorney generals and the governors of all the states have said they will fight in court and they will make this argument, that cannabis should not be on Schedule I because it is being used as medicine in (29) states,” Lovrich said. The study will begin Tuesday and go through June 15. Published: May 19, 2017, 9:06 a.m. Updated: May 19, 2017, 7:51 p.m.